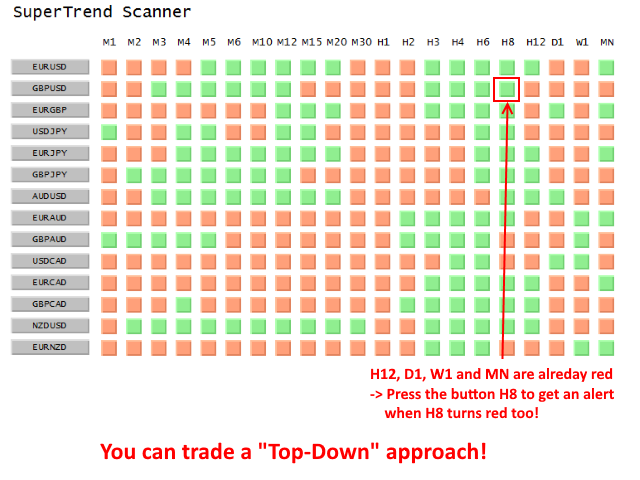 With this scanner you can trade a top-down approach easily. If two higher time frames e.g. W1 and D1 are already showing green values (upward trend) but the H12 time frame shows a red value (downward trend) then you can press the H12 button to get alerted when the value of the H12 time frame changes to green value. 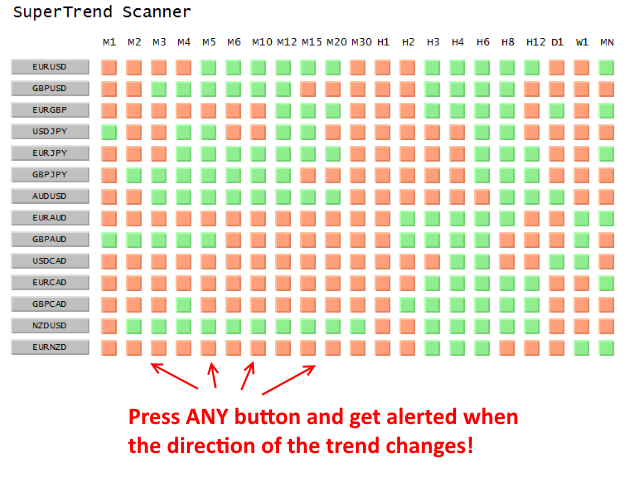 These signals can be good trend continuation entries. 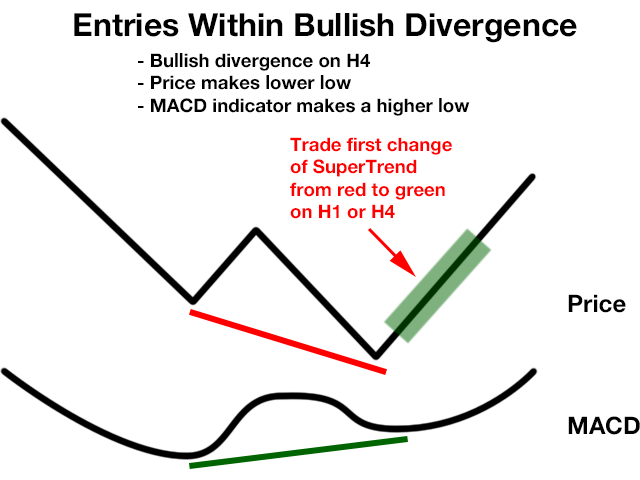 You can also use this scanner for entry signals into MACD divergences. E.g. 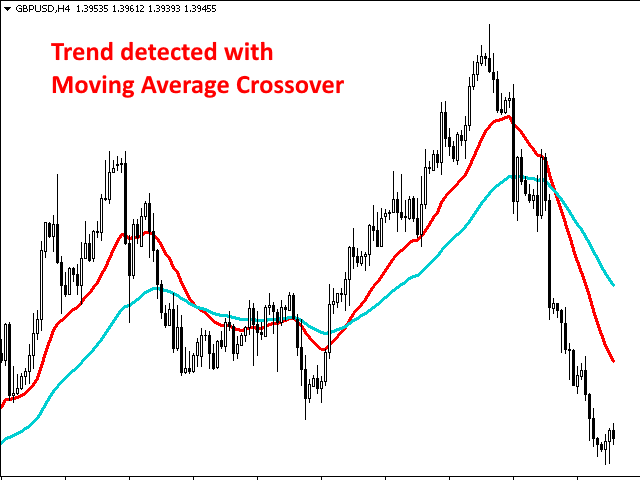 a bullish divergence exist on H4 but the SuperTrend values of the time frames H4, H3, H2 and H1 are still showing red values, then you can get alerts in the moment when the H4, H3, H2 or H1 value changes to green. 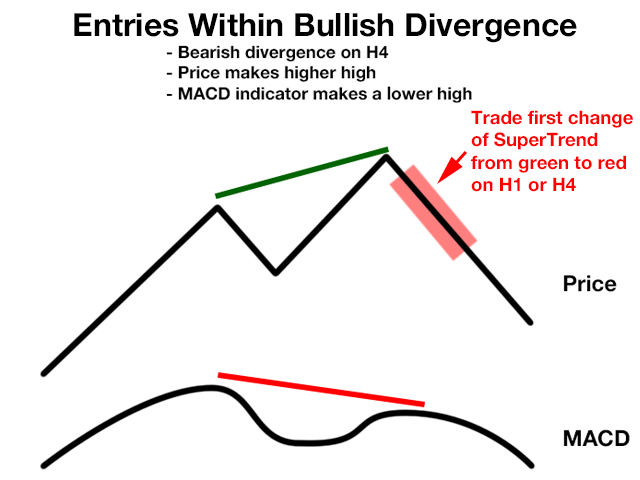 These signals can be good entries in direction of the divergence.